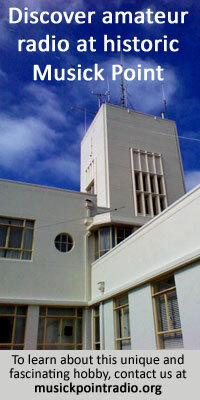 The main function of Awarua Radio, about 12 miles from Invercargill, is handling radio messages from ships operating at long distances from New Zealand. But it also receives telegrams from passengers flying the Tasman and keeps a 24-hour distress watch. During the last few years there has been much interest in land cultivation at Awarua and rough tussock land has become attractive gardens. Latest development, following the success with the gardens, is conversion of rough areas about the station into productive farm lands. In five years’ time, it is hoped that Arawua [sic] Radio farm will be grazing about 1,200 ewes, 300 hoggets and 60 head of cattle. (1) RECEIVING STATION at Awarua, from site of main receiving aerials. It is from such rough and uncultivated land as that in the foreground that flourishing flower and vegetable gardens have been made about the homes of station staff. (2) Three of the original staff COTTAGES built by Germans in 1913 under contract. 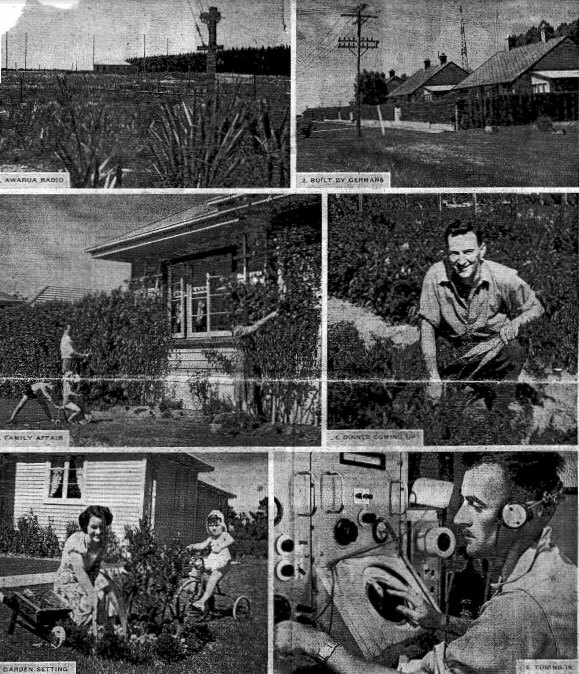 (3) SUPERINTENDENT of Awarua Radio, A. Wallace, and Mrs. Wallace in family setting outside their home. (4) REAPING THE REWARD of his labours is an operator, Syd Faass, who has just dug a few of his carrots. (5) ALSO BUSY in the garden is Mrs. Dex Barratt, while young Leslie acts as overseer. (6) Operator W. Burt TUNING Awarua’s Marconi-Adcock high-frequency direction-finding equipment. Awarua Radio began operations in 1913.